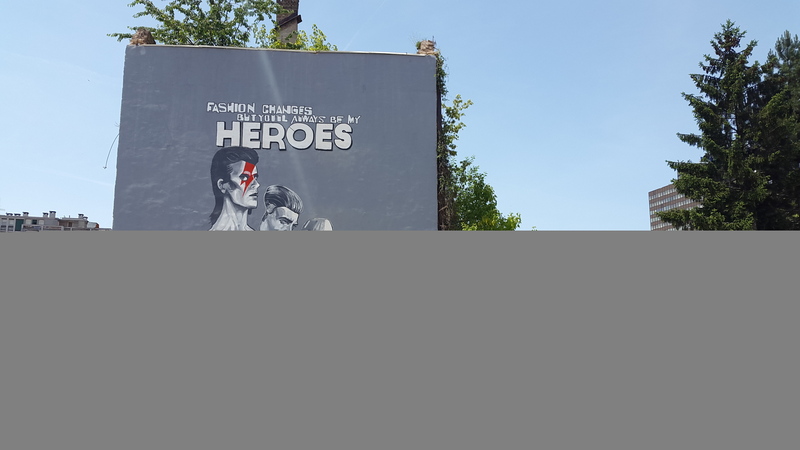 “Fashion changes, but you will always be my heroes,” states the David Bowie mural in Sarajevo. Photo by Filip Stojanovski, CC BY. A group of Sarajevo artists unveiled a giant mural of David Bowie in the capital of Bosnia and Herzegovina May 28, recognizing the artist's contribution to humanitarian efforts in the country. 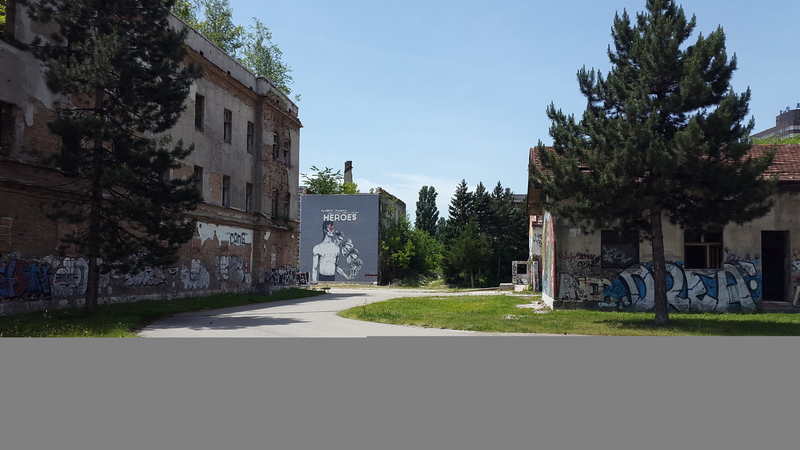 The Bowie mural is painted on the wall of a dilapidated building on the grounds of the Sarajevo university campus. During the opening ceremony, the authors, who call themselves Team Bowie Sarajevo, also used stencils to paint Bowie logos on t-shirts for attendees. 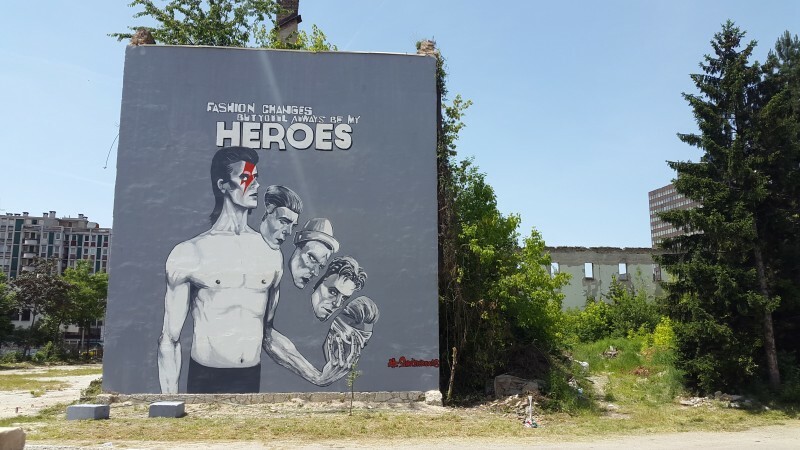 According to local portal Clix.ba, this is “the biggest Bowie mural in the world,” 13 meters high and 10.5 meters wide (43 by 34 feet). 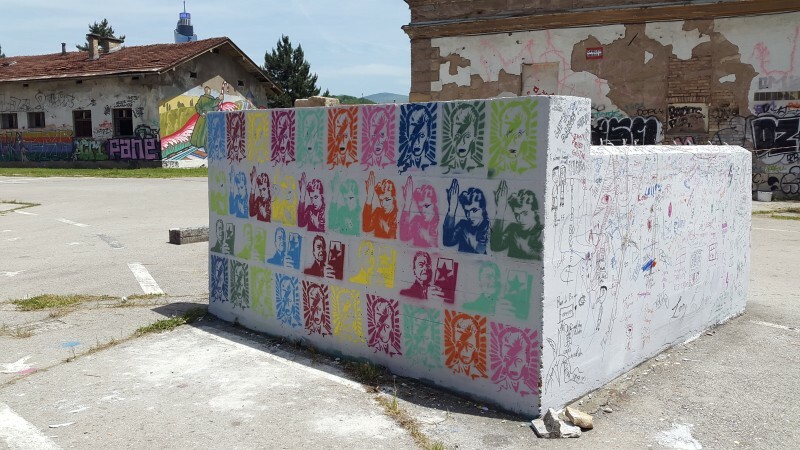 While this claim is hard to verify, the Sarajevo mural indeed looks much bigger than any of the “13 Of The Best Street Art Tributes To Bowie From Across The World” selected by NME magazine. 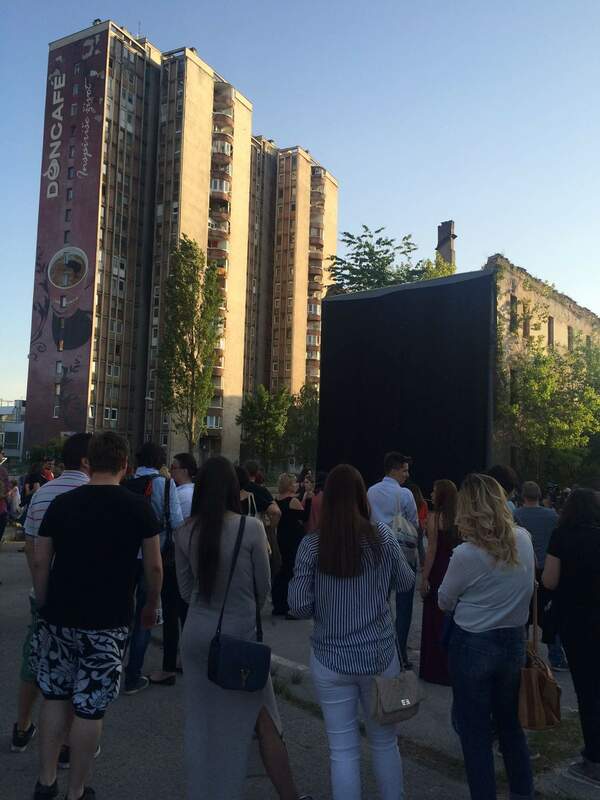 People at the unveiling of David Bowie mural in Sarajevo. 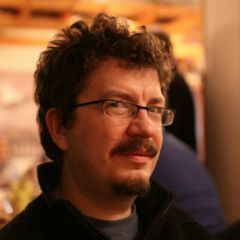 Photo by Katarina Vučković, CC BY. During the 1992-1995 war, when Sarajevo suffered a disastrous siege, Bowie took part in humanitarian actions aimed at helping its citizens. 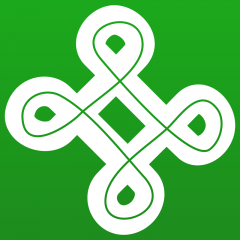 Team Bowie Sarajevo includes musician Vedad Trbonja from the popular rock band Billy Andol, Marvel comics artist Enes Čišić, graphic designer and painter Zoran Herceg, as well as Mensur Demir, Aleksandar Brezar and Adnan Čomor. Social media users have been using the #SarajevoBowie hashtag to express admiration for the project. 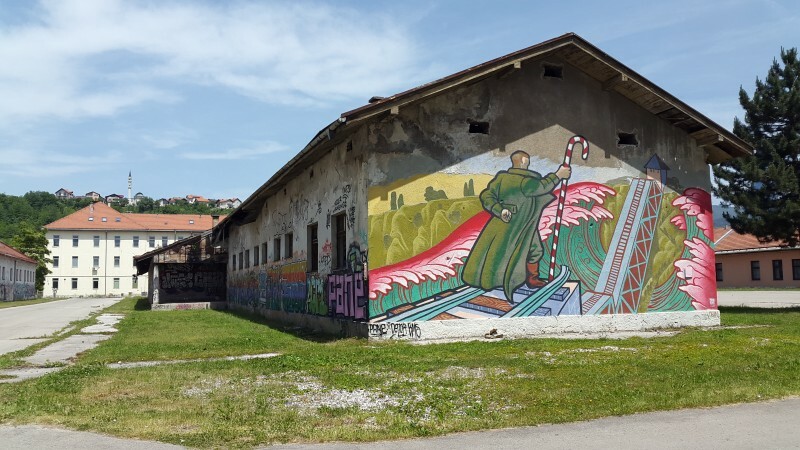 The mural site is part of an area that once served as one of the biggest barracks of the Yugoslav People's Army. 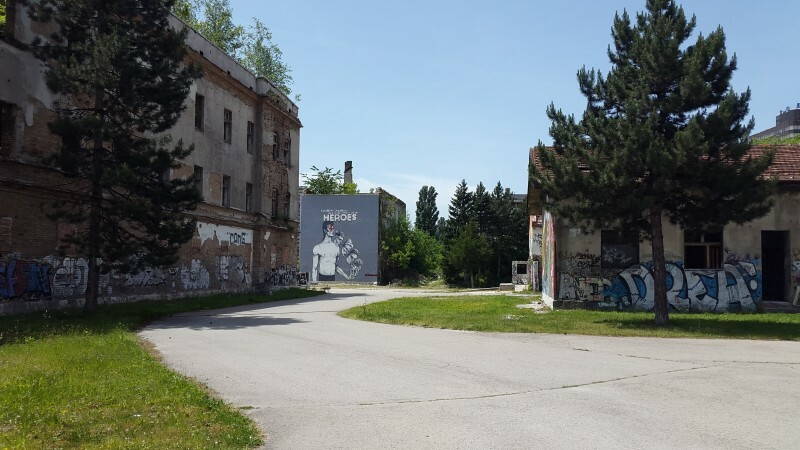 After the Bosnian War, the grounds were repurposed, used partly by a university, and partly by the new U.S. embassy. 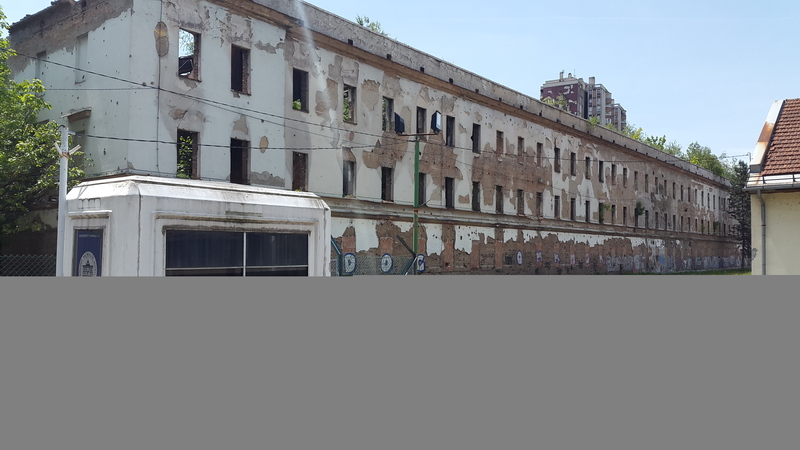 Only part of the buildings in the campus have been renovated, and many of them stand as empty shells. Graffiti abounds, with other elaborate murals keeping Bowie company. 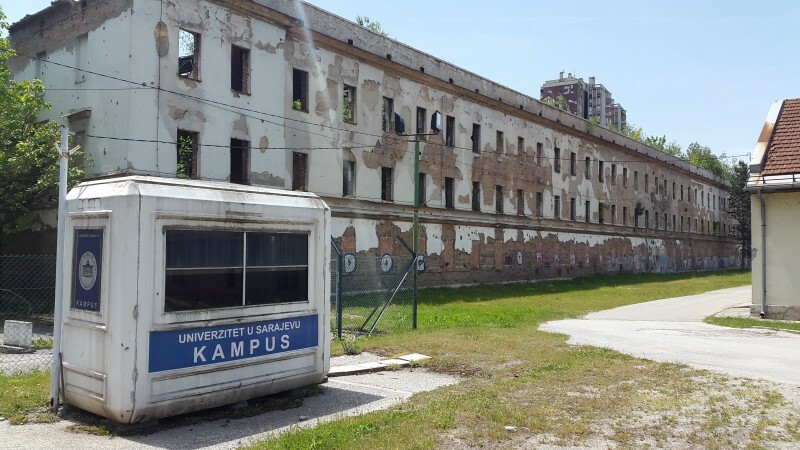 Part of the Sarajevo University Campus. Photo by Filip Stojanovski, CC BY. Another bit of graffiti on Sarajevo University Campus, unrelated to Bowie. Photo by Filip Stojanovski, CC BY. 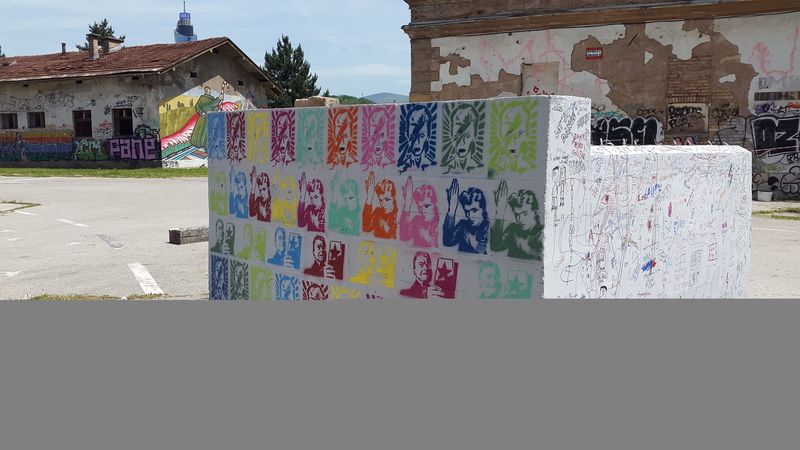 Stencils near the David Bowie mural in Sarajevo. 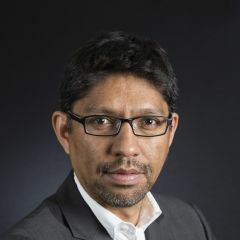 Photo by Filip Stojanovski, CC BY.